The Eagles lost to the Redskins last Sunday, setting up an easy narrative about Robert Griffin III and the future. The Eagles need to find their RGIII, and they need to do it fast. But finding that one can't-miss prospect is exceedingly difficult. A preliminary look at the 2013 draft class says that none of the quarterbacks are at the level of a Griffin or an Andrew Luck. Geno Smith seems likely to be the first one drafted, but he may go before the Eagles get a chance at him. After that, what other options will the Eagles have? Certainly there will be other prospects worth considering. Lesser talents perhaps, but if you get the right one... Aaron Rodgers was drafted later in the first round, Drew Brees in the early second. It's possible that the Eagles could succeed going down this route. But the key lies not in trying to replicate the Redskins' success at betting it all on one quarterback. It worked spectacularly with a player like RGIII, but that's no guarantee. Plenty of teams have tried that model recently and failed, because they wish-casted success upon a young quarterback who never blossomed into a true franchise guy. Look at the Jets, who saddled Mark Sanchez with a long term deal before he actually proved he could be a good quarterback. Making a move like that can set your team back years. No, the path I would really like the Eagles start down next year isn't the Redskins model (although absolutely draft Smith if you can). It's the Seahawks you want to look at. In 2011, Pete Carroll didn't have a quarterback he could trust. Tarvaris Jackson was the starter, and he posted the 25th-best DVOA in the league. Carroll went out and signed Matt Flynn, the Green Bay backup, to a 3-year, $20 million contract. If he had handed the job to Flynn, that would have been a mistake. But Carroll then grabbed Russell Wilson in the third round and put the two quarterbacks into open competition. Obviously, things have worked out splendidly. 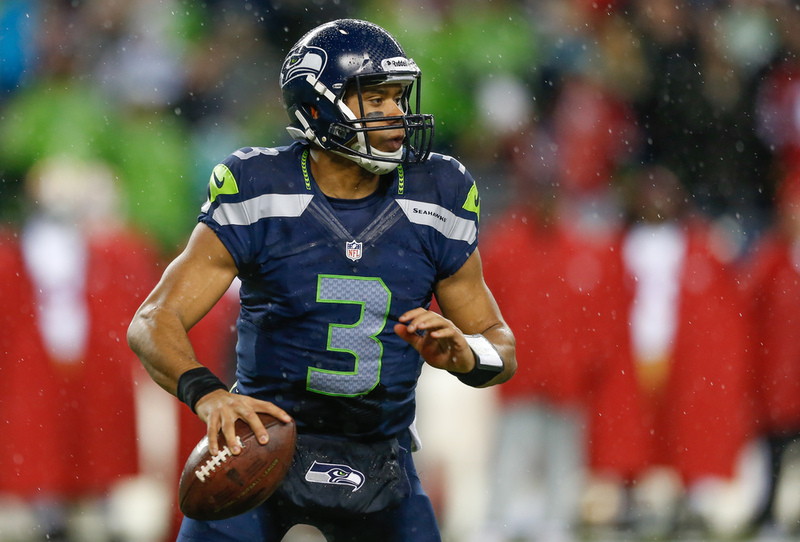 Wilson won the job, and has improved into one of the better quarterbacks in the league (4th in DVOA). But it was the overall strategy that should be credited and emulated. Carroll didn't go all in on Flynn or Wilson. He made smaller bets on each and let them play it out on the field. Some people in the Eagles community want the team to jump in with Nick Foles next year. That's crazy. The rookie has shown some fleeting promise and ability, but nothing that tells me he's a sure bet in 2013 or beyond. The way forward isn't to jettison him for someone else, necessarily, but it's about hedging your bets by signing and drafting as many promising quarterbacks as you can get your hands on. Draft a quarterback early and late. Sign somebody in free agency. Trade for a promising backup. Rinse and repeat. You're never going to be able to compete for the Super Bowl until you find your one franchise guy. Might as well cycle through as many potentials as you can until you do. The financial cost of doing so is less than the opportunity cost of sitting pat with one player, Foles, who is statistically unlikely to ever become an elite quarterback. The worst thing that can happen, going forward, is that you don't bring in competition for Foles and he falls apart. Then you've set yourself a year or more behind in the rebuilding process. Bringing in more quarterbacks only increases the odds of success that one of them -- even Foles -- will turn out well. And heaven forbid that the Eagles might end up with multiple valuable quarterbacks. What a horrible outcome that would be. Tagged with Russell Wilson, NFL Draft, Matt Flynn, Philadelphia Eagles, NFL, Robert Griffin III, Seattle Seahawks, Nick Foles, Pete Carroll, Quarterback. December 26, 2012 by Brian Solomon.